Once you’ve decided to become a “serious” mystery shopper – serious meaning you’re going to pursue it as a viable income source and not just do a shop or two a month for fun – knowing what to expect will help you better navigate your days and nights. 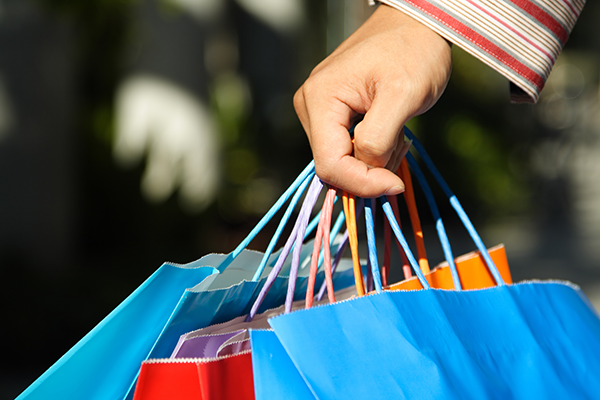 Like most life experiences, a day of mystery shopping rarely goes as planned but that’s a big part of the appeal. It’s similar to going to a party where you don’t know most of the guests, so you don’t know beforehand what age they will be, their personality types, or how they will respond to you. It’s an adventure that will likely include shareable memories, both good and bad. Check out this brief diary of a shopper who has scheduled five shops in one day, a reasonable goal if you have good time management skills, a reliable vehicle, and the shops come off without a hitch. 10 AM – First stop is a local taco shop famous for its breakfast menu. The small parking lot is jam-packed, so you have to park at a metered street spot. No change, so you end up using your debit card, which incurs a fee larger than the price for parking. Sure, you might be reimbursed but you’re still in college, so every cent counts. As you near the entrance after walking a couple of blocks, the line out the door of customers waiting for a seat has about 30 people in it. After a 20 minute wait, you’re delighted with the service and food quality but you’re already about 30 minutes behind schedule. 11:30 AM – Next is a very serious bank shop that pays great and you’ve already spent 2 hours studying the guidelines so you can pass yourself off as a prospective customer with starter investments and college funds in your portfolio. You may have been a bit overdressed for the taco shop but your outfit is perfect for a meeting with an upscale banker. Alas, your bank contact has been delayed in a meeting, so you have to cool your heels in the lobby, typically one of the most sterile, boring places on earth. On the upside, the meeting is shorter than anticipated and you’re back on schedule. 1:00 PM – It’s a burger joint for lunch. The only shop stipulation is that you order their special avocado burger, this month’s featured item. As you stand in line perusing the menu on the wall, you notice a handwritten sign taped to the register: Sorry, out of avocados. You step out of line, faking a call coming in on your cell phone. It’s the last day of the month, so you can’t reschedule. Your scheduler’s contact info is at home. Hungry and frustrated, you discreetly snap a photo of the sign on the register, order a bacon cheeseburger, and hope your scheduler understands. 3:30 PM – After taking a break to run some personal errands, you go to your next shop, a seemingly easy one requiring you to buy a branded snack at a convenience market. The item is prominently displayed, with all the promotional materials the client desires. As you subtly snap pictures of the POP banner, a clerk races from the backroom and tells you no photos are allowed. You apologize and explain you’re completing an assignment for your Economics class on the best in-store advertising tools. The clerk is unrelenting and asks you to leave the store, which you do after buying the required item…and making sure the shot you got was acceptable. The snack is not as good as advertised, so you move on with two bad tastes in your mouth. 4:15 PM – Your last shop of the day is a liquor store, which you planned as a reward for a hard day of shopping, although you never guessed it would be quite so challenging. You browse the aisles and are greeted by a smiling, upbeat associate who answers the prescribed questions perfectly. You’re drawn to the liqueur section where you discover your favorite hot cinnamon variety is 50% off! Breathing a sigh of accomplishment and gratitude the shopping day is over, you hold your purchase close to your heart and head home to relax. There are always surprises in a day of mystery shopping. The key is to remain unflustered, use your best judgment, complete the assignment and report on time, and remember how much your friends and family will enjoy hearing about your escapades.